Let our iPhone specialists provide a free diagnosis and estimate for your iPhone repair work. Unlike our competitors, we believe your time and money is important. 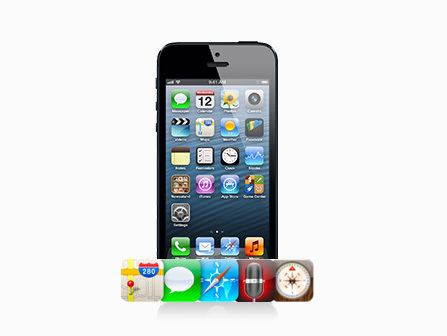 At iPhone Repair New York ™ we want to serve you in the repair process, in every way possible. That is why we believe in truly free estimate work. We won’t charge you unless we perform the work -- if we can’t fix your iPhone, you won’t pay. Additionally, if the iPhone repair needed is not affordable, we will tell you what is wrong with your iPhone, so you can look for the parts online and fix it yourself. We do not charge anything for your free iPhone diagnostic, no matter the circumstance. Bring in your iPhone to our Midtown repair center to have one of our iPhone repair specialists diagnose the problem with your iPhone and provide a free, competitive estimate for the repair work. What exactly is wrong with your iPhone? Which iPhone repair service option is the right choice for you? Let our top iPhone repair specialists in New York City provide a free iPhone repair diagnosis, while you wait! When you bring in your iPhone, we perform a series of tests to determine the type of repair service your iPhone needs. We will treat your iPhone, iPad or iPod with great care as we perform your free iPhone diagnosis. Our iPhone repair engineers are Apple certified and use only Apple certified parts when we repair your iPhone or iPod. Most problems with your iPhone can be diagnosed and fixed, while you wait in our iPhone repair center, located in Midtown Manhattan. When we say that we offer a free diagnosis for your iPhone, we mean it. We won’t charge you a penny unless you agree to have our iPhone repair specialists fix your iPhone. This is the iPhone Repair New York ™ promise. © 2010 - iPhone Repair New York - All Rights reserved. All images are their respective creators. ‘Apple’, ‘iPod’, ‘iPhone’ and ‘iPad’ are trademarks of Apple, registered in the U.S. and other countries.